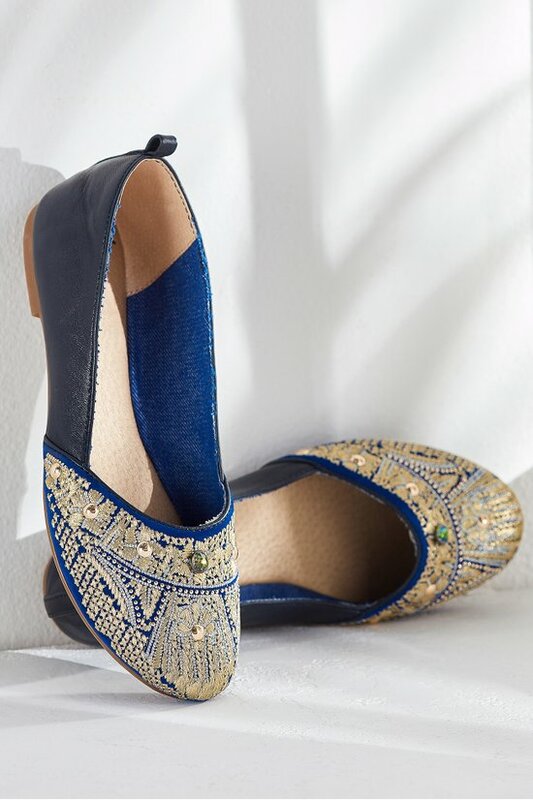 Shimmery beads light up embroidered motifs on these exotic flats. Crafted in velvety suede and smooth leather with a padded insole, they deliver urban style with a global edge. 1/2" heel.